The latest version of the Unified Modeling Language—UML 2.0—has increased its capabilities as the standard notation for modeling software-intensive systems. Like most standards documents, however, the official UML specification is difficult to read and navigate. In addition, UML 2.0 is far more complex than previous versions, making a thorough reference book more essential than ever. 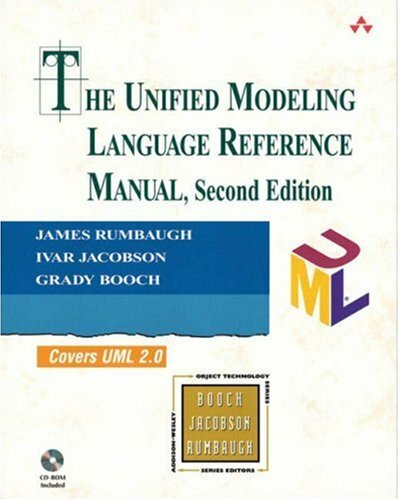 In this significantly updated and expanded edition of the definitive reference to the standard, James Rumbaugh, Ivar Jacobson, and Grady Booch—the UML’s creators—clearly and completely describe UML concepts, including major revisions to sequence diagrams, activity models, state machines, components, internal structure of classes and components, and profiles. Whether you are capturing requirements, developing software architectures, designing implementations, or trying to understand existing systems, this is the book for you. The result is an indispensable resource for anyone who needs to understand the inner workings of the industry standard modeling language.